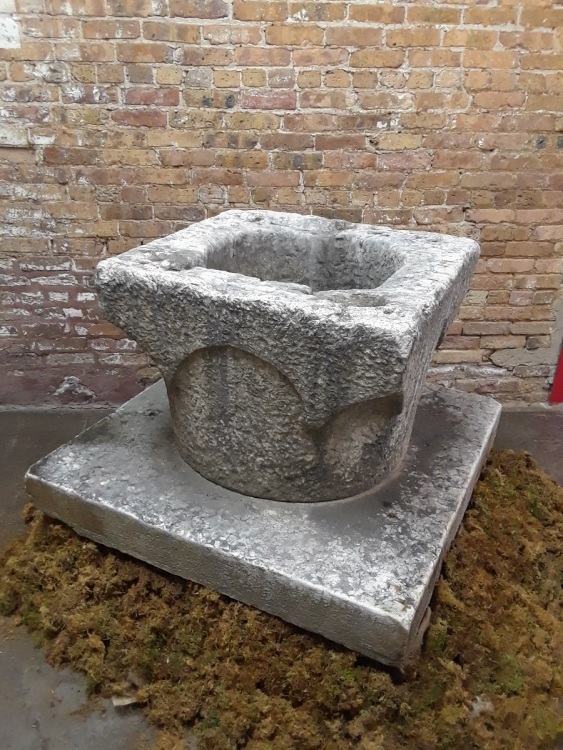 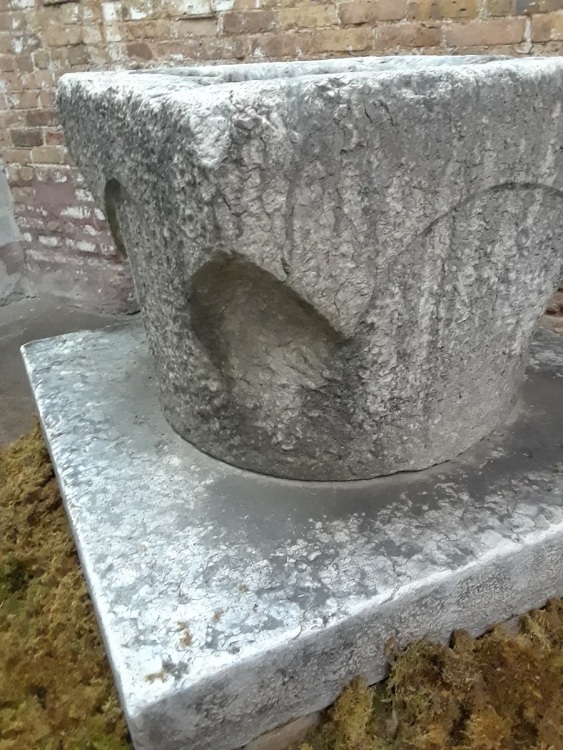 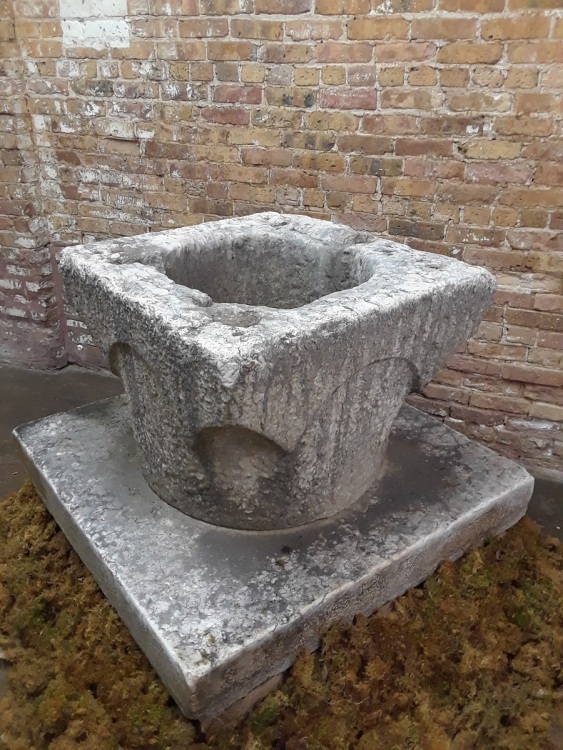 A very early Italian hand carved Istrian Stone wellhead of simple elegant form with a square draped top and circular body, on a raised stone base all in a lovely weathered surface. 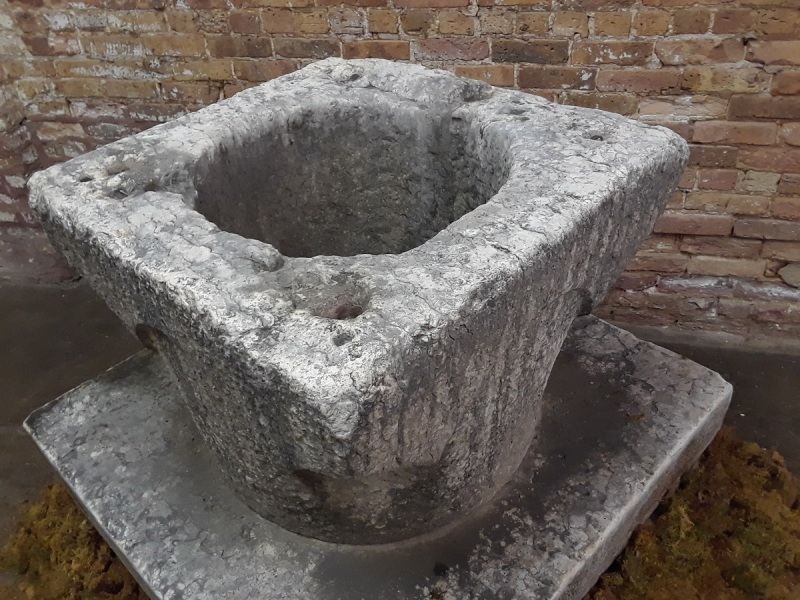 Istrian Stone is a very dense limestone found from the Dalmatian peninsula across northern Italy through the Veneto and down to Sardinia. 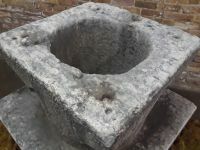 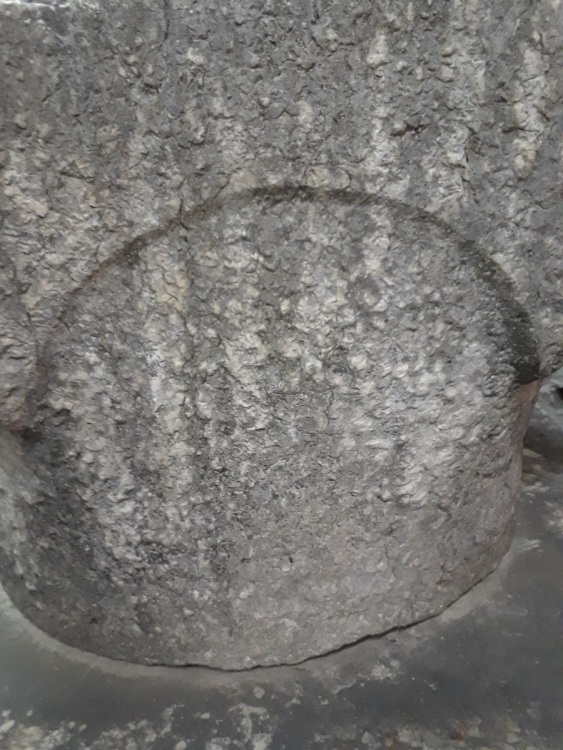 Much of Venice was constructed with this type of stone.